Garage doors are a convenient addition to any home. These doors allow easy access to your vehicle and other items stored in this space. However, when you experience problems, don’t hesitate to call a professional for assistance. These doors weigh hundreds of pounds and have the potential to cause severe harm or damage. Prevent a serious accident from occurring with garage door spring replacement in Pittsburgh. Is It Time for Repair? Do you have an aging or broken garage door spring? While minor signs of aging may not seem like a significant problem, over time this part weakens until it can no longer support the door’s weight. When that happens, the spring can snap while the door is in motion. This causes the door to drop down, falling on top of anything in its path. We urge you to regularly check the condition of your garage door and pay attention to signs of aging. With our spring replacement service, you can keep your garage door functioning safely and efficiently for many years to come. Call our technicians to schedule service. While a garage spring repair is a common fix, it is a service that can be avoided with the right preventative care. Before an emergency occurs, it is important to conduct regular inspections of the running parts of your home you depend upon on a daily basis. Call on our team to take on your inspections. We check all of the parts of your garage door to make sure none of them need to be replaced immediately. 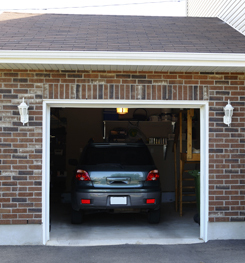 Scheduling a preventative inspection of your garage can save you time and money in the long run. Allow us to deliver fast, reliable service before an accident happens due to a broken garage spring. Since a functional garage door is necessary for the sake of your safety, it’s vital to take care of repairs as soon as possible. Even after hours, you can count on us to deliver the emergency service you need. Our team is available around the clock for emergency service. When a spring has broken, your garage door may be stuck in the closed position if your manual release is not working. This can wreck havoc on your busy schedule when you can’t get your car out of or into the garage. Rest assured our capable technicians are available to provide replacement service 24/7. Plus, we keep our trucks stocked with a variety of springs, so we’re ready to replace parts at any time. While a garage spring repair is a common fix, it’s a service that can be avoided with preventive maintenance. Call on our technicians for an inspection. We check the condition of all parts to make sure none of them need to be replaced. Ask us about our fast, reliable service before an accident happens due to a broken garage spring. Contact us in Pittsburgh, Pennsylvania, to request a garage spring replacement at your home or business. Our services are available throughout Allison Park and Cranberry Township.